Immerse yourself in the crashing waves and buzzing wildlife of Hawaii with the Hilton Kalia Tower. 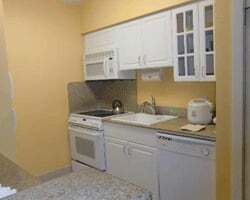 Find timeshare resales and rentals at all-time affordable rates with SellMyTimeshareNow.com today. 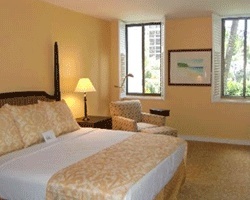 Claim your very own home-away-from-home high above the beaches of Waikiki at Hilton's Kalia Suites. 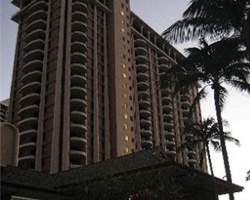 Part of the larger Hilton Hawaiian Village, along with the Lagoon Tower by HGVC, the suites in the Kalia Tower provide a perfect Hawaii vacation experience. You'll be surrounded by a full-fledged vacation resort dedicated to offering the best amenities and services. Dine at one of the two on-site restaurants or spend your days soaking in the Hawaiian sun at the resort's massive swimming complex. Whatever you choose to do, you can do it from the comfort of one of Honolulu's best resorts. The accommodations at the Kalia Tower Hilton provide magnificent living spaces for couples or small families. The one bedroom units sit perched above the city below, filling the tower's twelfth to eighteenth floors. Enjoy homelike furnishings and in-unit amenities like fully-equipped kitchens, private balconies overlooking the sea or the mountains, and spacious living and dining areas ensuring everyone's total comfort. With up-to-date entertainment systems and free WiFi throughout, you'll find a modern and welcoming stay awaiting you at the Kalia Suites. Are you ready to find your dream Hawaii accommodations? Fill out the form on this page to learn more about ownership opportunities at the resort, or call a representative at 1-877-815-4227. Purchasing a timeshare at the Kalia Tower can provide you with years of great trips to Hawaii, along with a variety of awesome perks and benefits that will make them memorable. However, you can get all that and more on the resale market for thousands less. Timeshare resales at the resort are offered by current owners instead of the resort itself, resulting in low prices for the same great vacation solutions. You can find lavish timeshares at the Kalia Suites resorts for prices of up to 70% off while still securing years of luxurious getaways. Resales at the resort come in the form of deeded fixed and floating weeks, allowing you to choose an ownership interval that best suits your vacation preferences. You may also find resales at the Hilton Kalia Tower available in HGVC points, which can provide you with an easier way to book accommodations. Timeshare resales at the resort are also spread throughout Hilton's Gold and Platinum seasons. The Kalia Suites are affiliated with the Hilton Grand Vacations Club, one of the world's best vacation clubs. While resale owners aren't able the enroll in the club at the Elite level, you'll still be able to take advantage of some of the club's best benefits. You can bank or borrow your HGVC points and convert unused points to HHonors rewards. You'll also be able to use your points to vacation at other Hilton-branded properties, allowing you to explore destinations all over the world. The Kalia Suites are also affiliated with RCI, the world's best and largest timeshare exchange brand. Exchanging your timeshare can help you maximize your resale ownership to travel the world. Simply deposit your Kalia Suites accommodations into the exchange network and trade for stays at one of 8,000 affiliated resorts. Furthermore, the Kalia Suites are a Gold Crown rated property, meaning you'll likely be able to exchange with resorts of similar quality and accommodations when you seek to explore other destinations. The Kalia Tower provides an array of awesome amenities designed to help improve your vacation experience the minute you arrive. Many of the amenities can be found throughout the Hilton Hawaiian Village, which houses the Kalia Tower. Stroll down to the beach from your accommodations, and explore the famous area of Waikiki instantly. Visit the 5,000 sq. ft. pool area, which includes six pools and the largest waterslide in the Waikiki area. 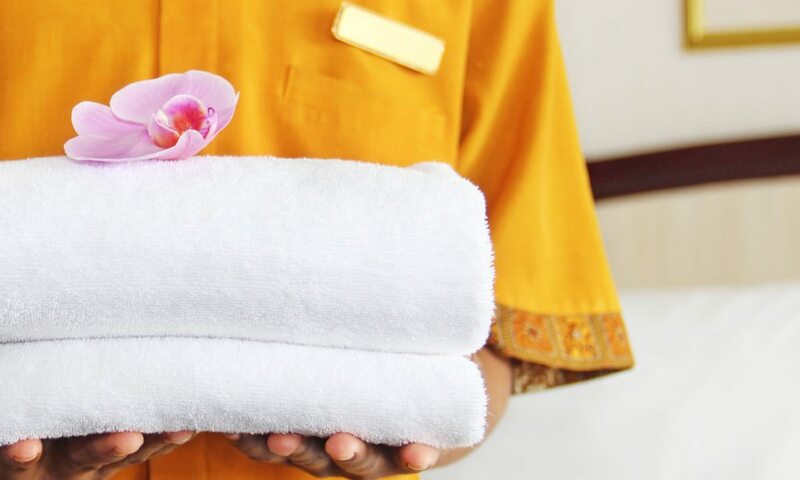 Head to the Mandara Spa for luxurious treatments and massages, or make a reservation at the Tropics Bar and Grill or the Rainbow Lanai for excellent dining. Around the area, you'll find no shortage of things to do and see just minutes from the resort. Climb the famous Diamond Head peak for astonishing views of the city, or visit the Honolulu Zoo and Aquarium for a day of family-friendly fun. Witness the USS Arizona Memorial in Pearl Harbor, or head inland to hike through Oahu's lush forests at Maunawili. Already Own at Kalia Suites by Hilton Grand Vacations?